Follow Froggy on his everyday experiences and adventures in this picture book series by Jonathan London. These hardcover, fully-illustrated books are fun to look at, with generous doses of color. Each book begins with a new day and focuses on a new adventure for the active amphibian, and littles will enjoy the many silly sound effects incorporated in the story as Froggy goes about his day. Personally, I think some of the characters are cute, but Froggy gets on my nerves a bit. Froggy comes across a bit entitled and bratty to me, and I wish the books did more to address that. He yells, is kind of mean to his sisters, breaks things, and whines. My biggest peeve – when Froggy is called, he typically responds “Wha-a-a-t.” I was raised to believe that it’s incredibly rude to answer someone who calls you with “what” – the expectation was that you answered “yes.” Froggy is never admonished for any of the aforementioned behaviors. As a parent and a teacher, I’m surprised the author chose to display that behavior as acceptable. As accident prone as Froggy is, he also never seems to get hurt. I wish at the very least, there were some natural consequences to the behaviors depicted in the books. Froggy answering “What” when he’s called. This series is endearing in that many of Froggy’s behaviors are very typical of young children. 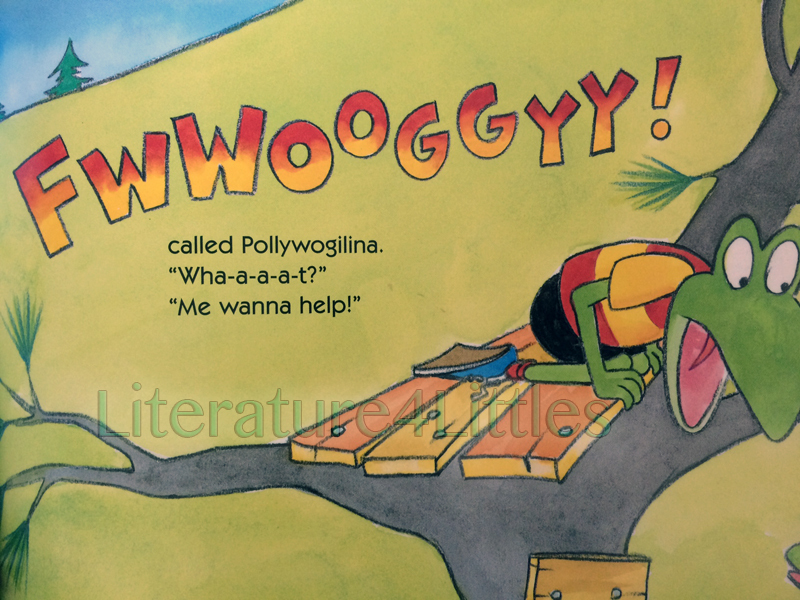 It’s more than likely young children will be able to relate to Froggy’s antics and feelings. The books are easy and predictable, and full of situations toddlers and young children will find funny. Personally, I think books for children have an inherent responsibility to highlight and encourage good behaviors. For this reason, I don’t think I’ll be adding this series to my home library, but they do make for an entertaining read now and then. This book series is recommended for children ages 2 and up. Previous Post Mini Review: Time to Say Please! Next Post Usborne Book Haul!